Are you ready to unleash your inner sporty driver but still have need for four seats? The Mercedes-Benz C-Class Coupe molds both into one sporting soul. The C 250 has a 1.9 liter turbo-4 that cranks out 201 horsepower, while the C 350 has a 3.5 liter V-^ that roars out 302 horsepower. Coupled with a rapid-multispark ignition along with a high pressure direct injection, these engines are no slouches, yet they will not be guzzling gas, as the engine is rated for 31 highway miles per gallon. Without the proper hardware under your car’s hood, it is hard to achieve the desired sporty feel. The C-Class Coupe has sport-tuned suspension with Mercedes-Benz’ innovative agility control. Agility control will instantly recalibrate to match the road surface, which works to create a harmonious balance of sharp responsiveness with the smooth comfort you expect from Mercedes-Benz. The C 350 has available 4MATIC® all-wheel-drive, proving that a C-Class coupe is a sporty option that is never out of season. Everybody can use a little help from time to time, and the C-Class Coupe is here to help you and watch your back. Optional Blind Spot Assist will alert you when a vehicle is in your blind spot, helping to avoid side-swiping accidents. The Mercedes-Benz C-Class Coupe is calling to your sporty side and this is a call you cannot ignore. 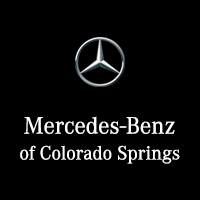 See one for yourself at Mercedes-Benz of Colorado Springs.